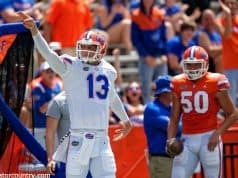 With so much going on around the SEC as National Signing Day approaches and spring practice just around the corner, GatorCountry.com brings you the SEC Evening Drive. 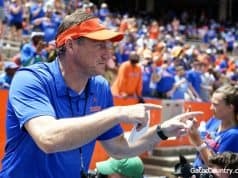 The Evening Drive will give readers a quick look at what is going on with other teams in the SEC, including the Florida Gators. Scarbinsky: Can we treat Reuben Foster as a person and not a punch line? Drew is a senior at Samford University in Birmingham, Ala. When not at school, Drew resides in Lakeland, Fla. Ever since working on his high school yearbook, Drew has had an interest in pursuing a journalism career after college. In addition to being Editor-in-Chief of his school newspaper, The Samford Crimson, Drew has also been with Gator Country as an intern for one year. He enjoys the finer things in life like Tampa Bay Rays baseball and always making sure to make fun of the Atlanta Braves to Andrew Spivey’s face.